MoreBeer! 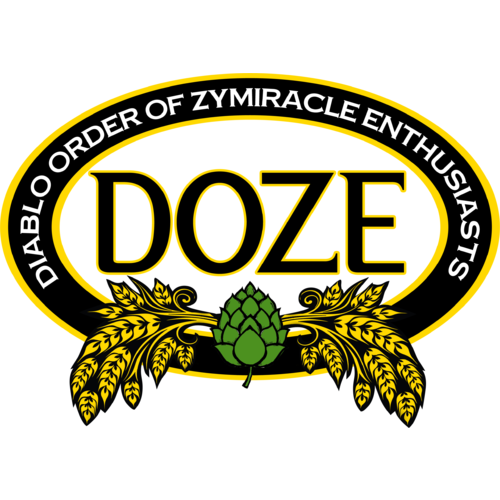 is proud to release this Black IPA recipe designed by our local homebrew Club DOZE. 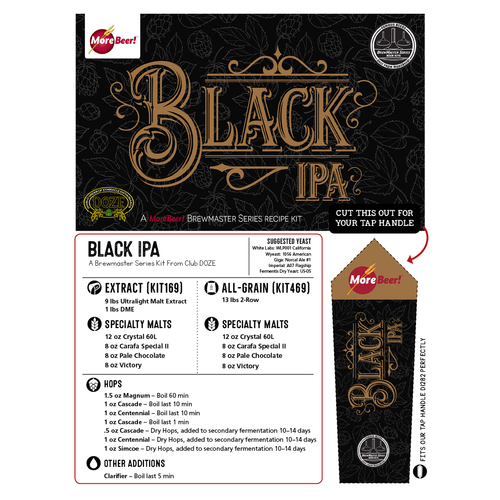 This black IPA recipe has been coined the name as 'Diablo Dark Ale' in honor of our resident Mt. Diablo. Here is where the Diablo Order of Zymurical Enthusiasts brew at the foothills fine tuning their homebrew recipes and sharing their passion for making great beer at home. I've been brewing this twice a year for several years now. Hands down best Black IPA I've every had! This is a fantastic beer kit and I brew it once or twice a year during the Christmas holiday. I like to serve it on Nitro. 3 rd time! Love it! So you have your choice. - How do you like your beer? Great kit - one of my favorites. Next time I'm going to dry hop a little more centennial. I did a RIMS mash @152 degrees for 60 min. We have brewed four of the Black IPA all grain kits over the last couple years and each one was outstanding. One of my favorites. Excellent kit. Once my neighbors found out it was on tap it was gone in a few weeks. Already brewed twice and planning a third. 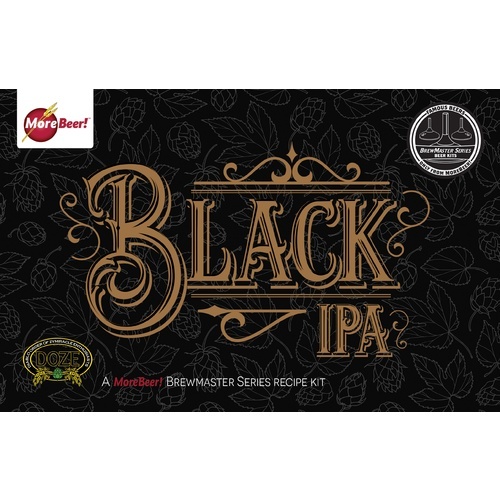 This is one of my favorite beer kits and by far my favorite black IPA. It is everything you'd want from a black IPA... some roasted malt and chocolate flavor and hints of bitterness along with a solid punch of hops. I've brewed both the extract and all grain kits multiple times. Both are excellent. I do favor the all grain kit but you can't go wrong with either. I always serve this beer on nitrogen (beer gas) using a stout faucet. You get the amazing creamy head and smooth flavor. This came out very good but not exactly as I expected. I am a bottler and in the future I think I would add another ounce or two of dry hops to help offset aroma/flavor degradation from O2 exposure and bottle conditioning. My first batch of this has come out a bit on the roasty/chocolaty side. I'm not complaining, but I expected a bit more hop aroma. Probably is much better served from a keg. That said, I will be getting this kit again in the future to tweek the process and recipe for my set-up. I can sum this beer up in one word... AWESOME! I brewed the all-grain version. Everything went according to plan, mashed at 154 degrees and I let it sit in fermentation for 4 weeks. Two weeks in primary, two weeks in secondary. It's like a hopped up Guinness. I got huge raves from all who tried it, even my neighbor who can't stand IPAs. I will be brewing this one again very, very soon!! Wow! The taste, balance of hop bitterness and aroma, the look, all make this a winner. My first look at this beer after racking to the keg was one of concern. It looked too dark while spilling into the keg and had a strong hop aroma that I thought would make it unpopular with the spouse. Was that wrong. I couldn't have been more wrong. The taste is near perfect. The balance of hop flavors is nicely matched with the hop bitterness and malt. The hops are there, but not a hop bomb. Balanced. The color was dark, but as it turned out, it was just dark, not heavy. The roast flavor is there, but so subtle. It only reminds you that you are not drinking a golden IPA, but doesn?t come off as a hoppy porter. The malt backbone is there. Balanced. 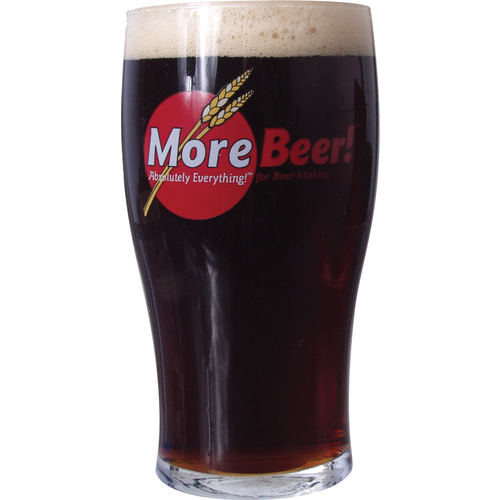 I?ve made one batch from the Morebeer kit and another from the recipe. The kit did a slightly better job than my attempt, but I had to sub a hop addition due to my LBS not having one hop in stock. I?m sure following the recipe properly would get the same result as the kit. My wife must have drunk ?_ the keg. That?s unusual, but since this is so good, not unexpected. I have standing approval to brew this beer anytime I want. High praise indeed. This was my first ingredient kit from More Beer, and I was thrilled with the beer. This is an extremely solid IPA: balanced taste yet not shy with the hops. It's also very drinkable. I wanted something that would serve as a solid go-to beer rather a big or unique brew and Doze does it. Many black IPAs (or Cascadian ales, or whatever you want to call them) seem more like Americanized porters, but this isn't one of them. There's a slight roast profile, enough to add a subtle complexity to the profile, but it's not distracting. 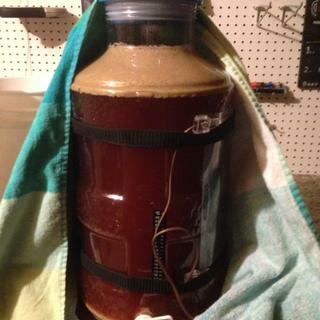 I brewed with S-05; a little over a week in the primary and then a week in the keg. Tasty-- would brew again.